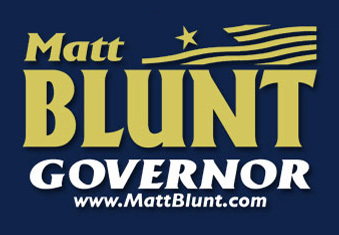 Governor Matt Blunt's years as Missouri's governor were researched and published in a book titled "Leadership, Vision, Change: The Blunt Years 2005-2009." Beginning with a foreward by Senator Jack Danforth, this volume examines how Governor Blunt transformed Missouri state government including turning an inherited $1.1 billion deficit into three consecutive surpluses without raising taxes. "Leadership, Vision, Change" chronicles the Blunt Administration's initiatives for job creation, education, spending constraints, tax cuts, health care, government accountability and many others. Governor Blunt's service continues to have a positive impact on Missouri citizens and state government today. Now you can read the Matt Blunt record and get the facts about the Blunt years.